"Maintaining a healthy diet and taking sensible approaches to protecting the eyes are vital to supporting vision." According to Vision Australia, nearly 300,000 Australians are blind or vision impaired, and this figure is expected to rise to 421,600 by 2021 as more baby boomers reach retirement age according to the Australian Bureau of Statistics. With World Glaucoma Week kicking off on Sunday March 11th, there’s no better time to focus on your eye health. Ravinder Lilly, Nutritionist from USANA Health Sciences, a global producer of leading nutritional supplements, has some top tips on caring for your eyesight, "Protecting your eye health is essential and many people are unaware of how best to do this. There are some simple ways to care for your eyes and preserve healthy vision on a daily basis that people of all ages should adhere to." Regardless of the time of year, if it’s sunny, protect your eyes from intense sunlight. Choose good quality glasses that filter blue light and have 100% UV protection. Spending long hours working in front of a computer screen can cause eye strain. Likewise, if leisure time means time in front of the screen. Make sure to take regular breaks. 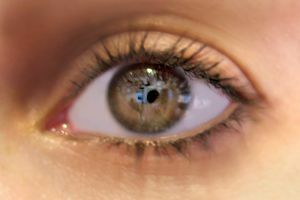 A simple technique to reduce eye strain is to focus on an object in the distance. Healthy eating is good for your body and mind but also vital for your eyesight too. Opt for plenty of fruit and vegetables. Smoking increases the risk of age-related mascular degeneration (AMD) and cataracts. The noxious mix of chemicals in cigarette smoke robs the blood vessels of oxygen. Smoking also reduces the levels of two key antioxidants, lutein and zeaxanthin. 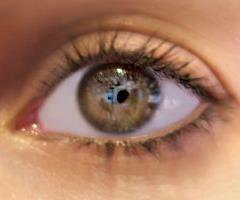 Lutein and Zeaxanthin are concentrated in your eyes. They absorb potentially damaging blue light and soak up free radicals (molecules that can damage cells and slow down the regeneration process). A great source of these vital nutrients is fruit and vegetables. Leafy vegetables such as kale, cabbage and spinach, as well as yellow and orange capsicums, mango, blueberries, bilberries and citrus fruits like oranges provide lutein and zeaxanthin which are important for healthy eyesight. Also, oily fish that’s rich in omega-3 fatty acids such as salmon, fresh tuna and sardines can help to support healthy vision. Supplements are not an alternative to a healthy diet but they’re a great option for people who don’t eat a healthy, balanced diet. ‘Another study showed that lutein supplementation of 15 mg every three days significantly improved visual sharpness and glare sensitivity in older people. Plus patients given lutein had improved macular function** ‘, Ravinder says. The Macular Degeneration Foundation Australia agrees, saying, ‘Lutein has been shown to be protective of MD. If your diet is deficient in fresh fruit and vegetables, a lutein supplement should be considered.’ USANA Health Sciences daily eyesight protection formula, Visionex has been developed to promote healthy eyes and acute vision. It contains two most powerful eye-protective, free-radical fighting antioxidants lutein and zeaxanthin plus other antioxidants including vitamin C which is also highly concentrated in the eyes. You cannot self diagnose eye problems such as AMD so regular check-ups with an optician are essential to ensure your eye health. "By incorporating a combination of the tips above into daily life, eyesight health can be protected and the risk of the incidence of mascular degeneration lessened. Maintaining a healthy diet and taking sensible approaches to protecting the eyes are vital to supporting vision," ends Ravinder Lilly.